I have a 1987 Oldsmobile 442 I am selling. It has only 16,000 original miles on the car. Everything on the car is factory including T-tops. This car was the last 442 made on the production line before Oldsmobile closed the line. This car has NEVER been in the weather and stored in a dry clean garage. Asking $17,500. Please only interested buyers contact me. I would like to think you would have posted some pertinent information like pictures, location, e-mail address and or phone. GLWS! The interwebs are full of scammers that even sell or lease other peoples property or even real-estate now days. As a 1 post member on this site the lack of info doesn't make you look more credible either. 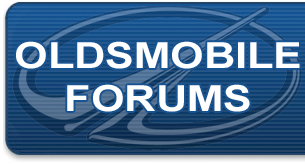 If you are truly interested in selling (and sharing that piece of Olds history with an Olds forum), you should probably be willing to give more info with documentation that can be verified, title status, pictures etc. Either way, good luck and congrats on owning such a rare vehicle! I could just imagine it in my driveway now so I'll pretend to know it is red!